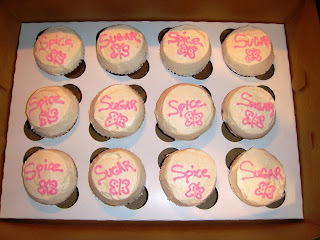 Sugar & Spice and everything nice....that's what little girls are made of! 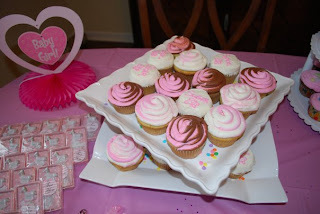 Vanilla cupcakes with vanilla buttercream icing. 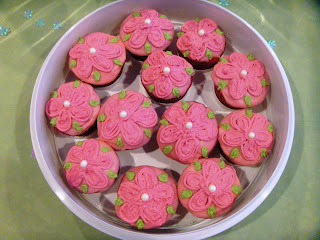 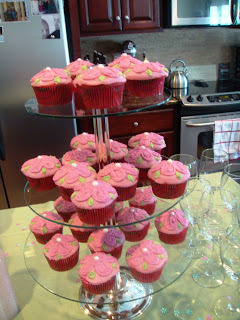 In trying to keep the theme of Ellie's nursery, I made these red velvet (Mommy's fave) cupcakes with a flower design tying in the in the pink and green colors.